At last, here is Addy modeling a Civil War era dress designed for a young girl. 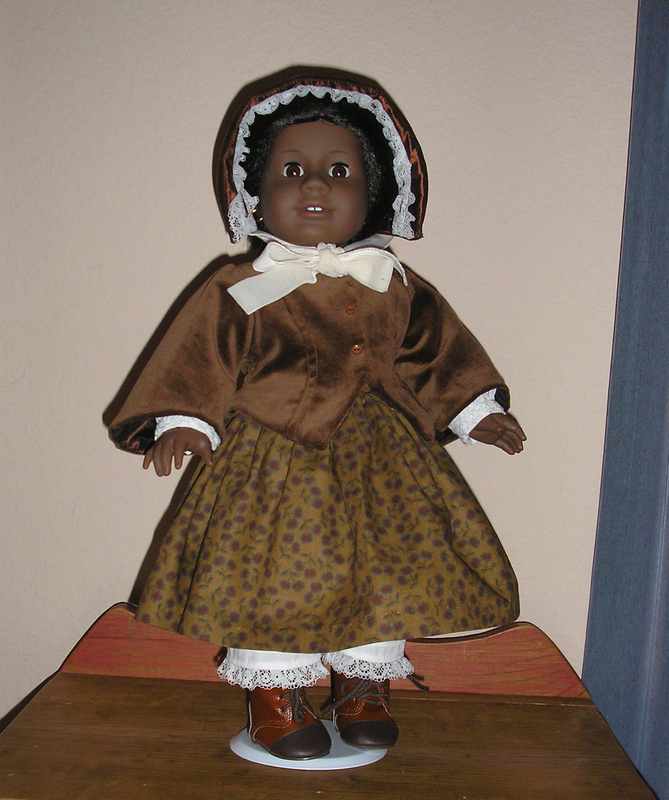 Addy is an American Girl doll who is meant to represent this era–she and her mother are depicted as escaped slaves. 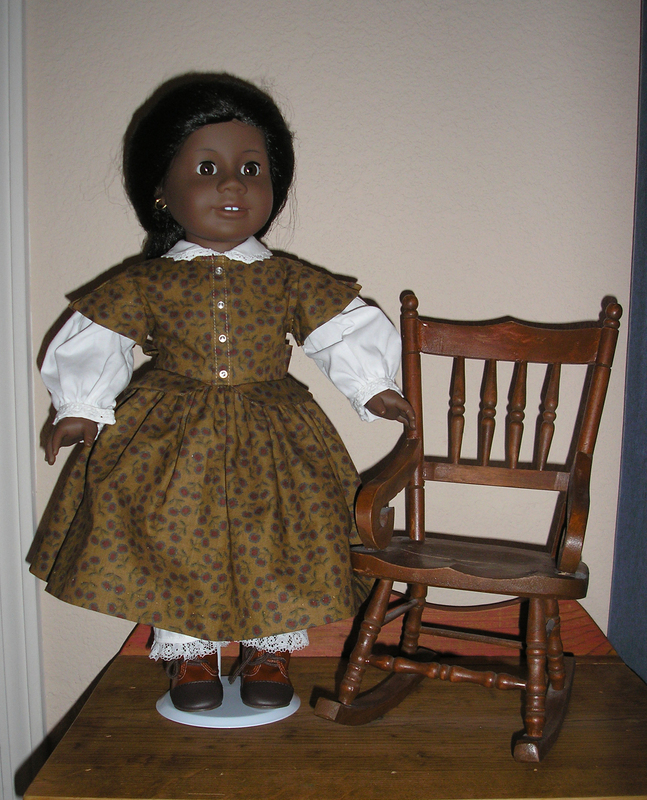 While the designers of this doll make a few gestures toward reality–such as giving Addy a tote bag made simply of a large cloth–they tend to overlook the conditions in which a freed or escaped African-American family would most likely have existed during or after the Civil War. Hence Addy has an extensive and lovely wardrobe that rivals those of the other American Girls. Despite the anachronism (or perhaps because of it) she remains one of the most popular dolls in the line. I like the fit and back detail featured in this pattern. 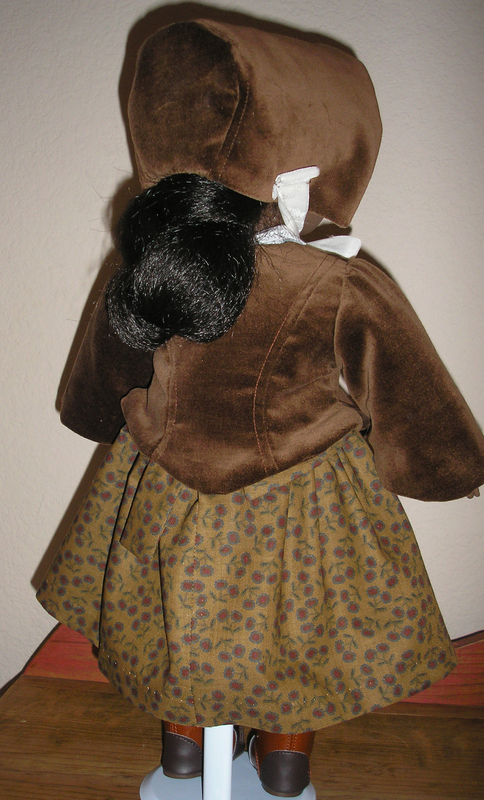 I made the jacket and bonnet out of scraps of velveteen left over from a jacket I made for myself way back in the day. (Can’t believe now I ever had the time or enthusiasm enough to complete such projects). Photography, OTOH, is not one of my strong suits. It’s not even a weak suit. but when you can sew like that, you can make as many other suits as you want!